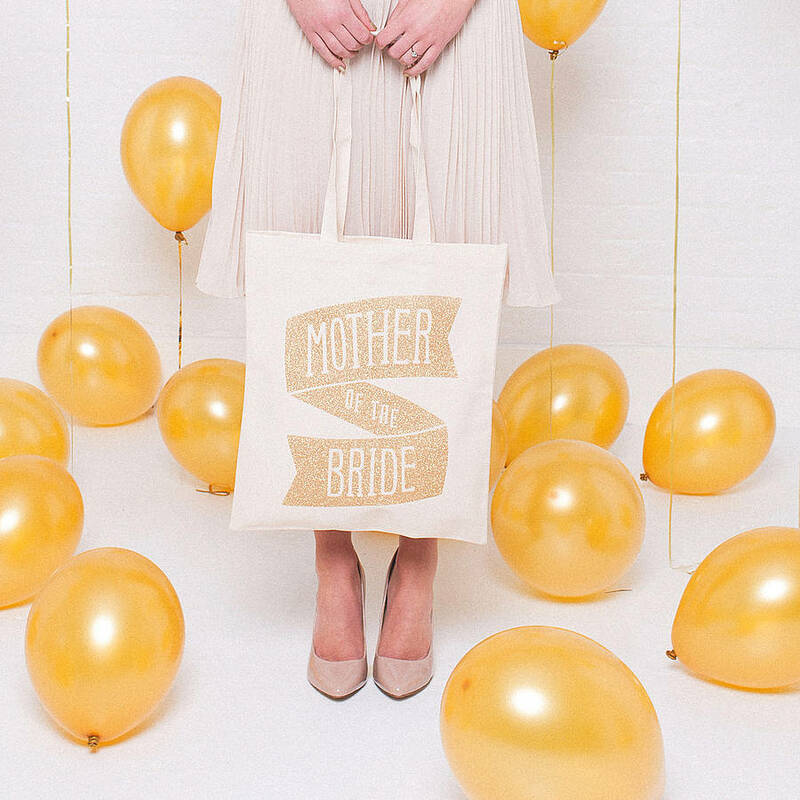 Mother of the bride tote bag, part of the Alphabet Bags wedding collection. 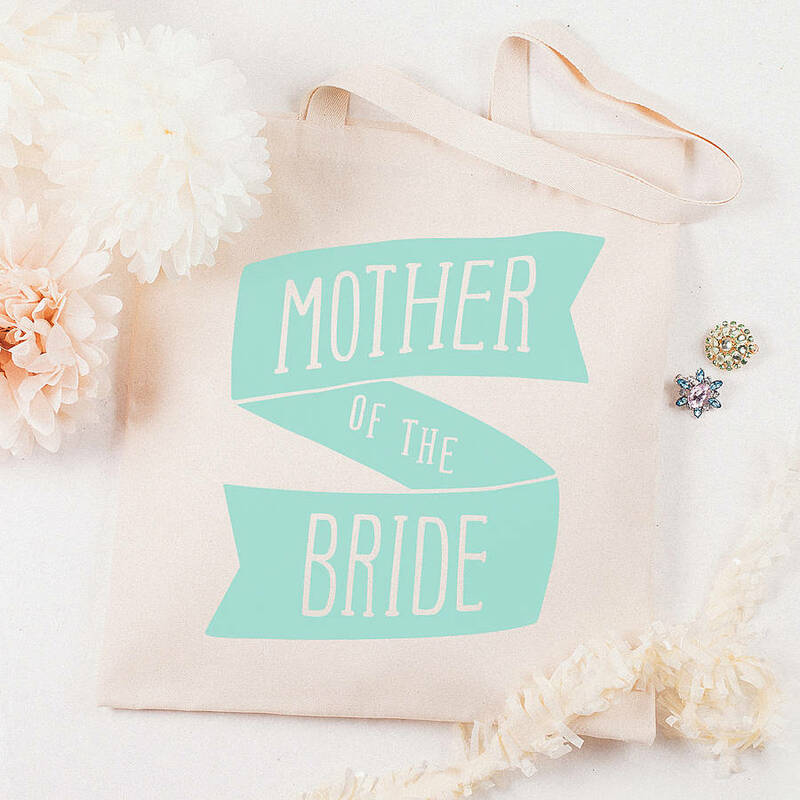 Filled with gifts this bag makes the perfect accessory for the lovely mother of the bride! 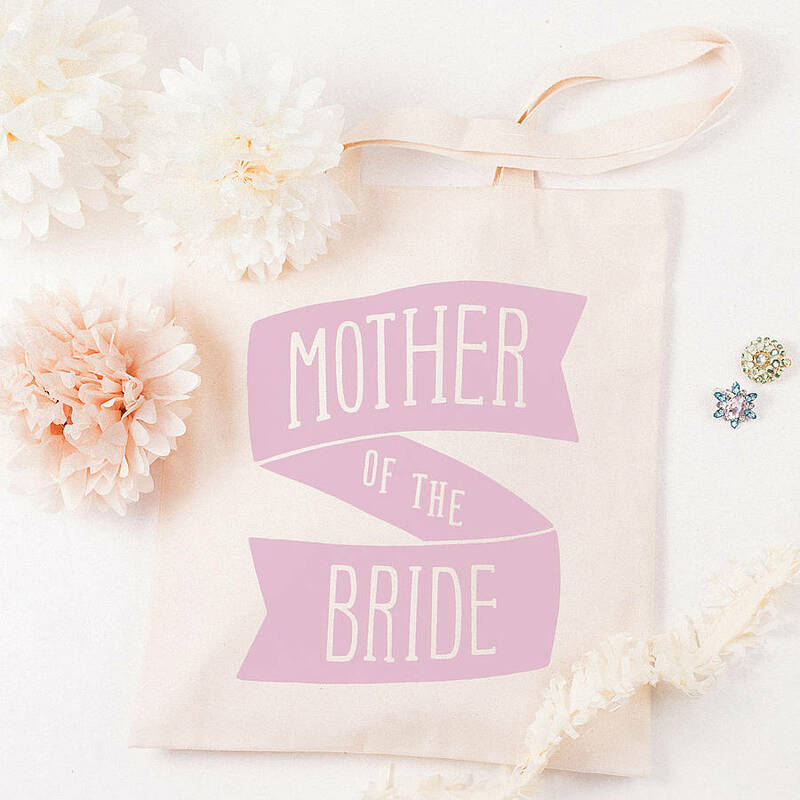 They are perfect for hen parties and also make a lovely keepsake to treasure beyond the big day. 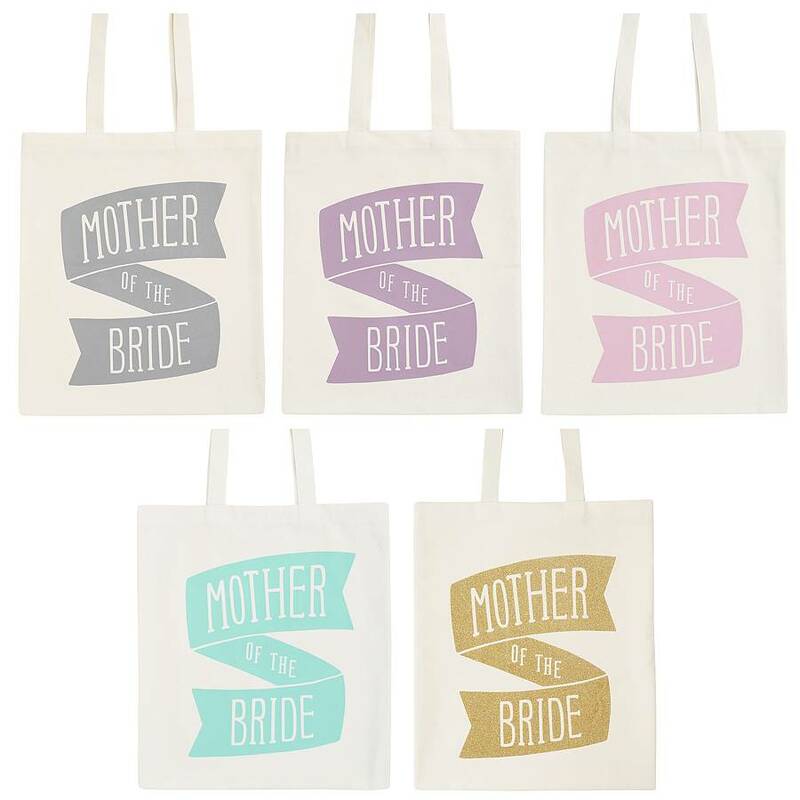 Available in a choice of rose pink, mint green, lavender, grey and gold glitter. 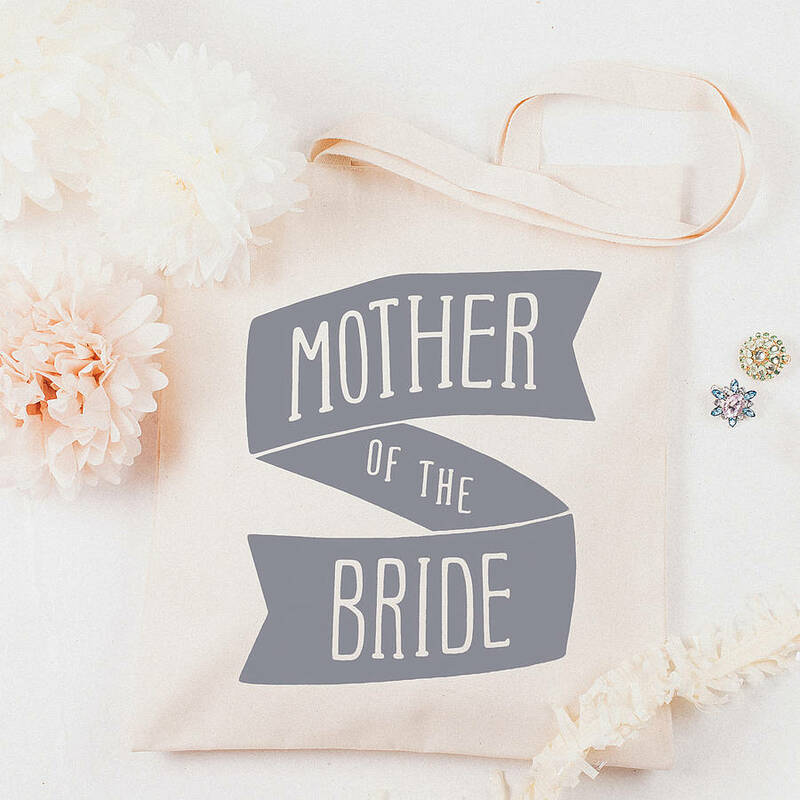 Made from 100% natural cotton and screen printed by hand. 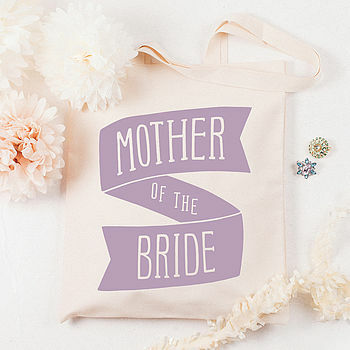 For bags with colour print: hand wash and do not iron printed area. 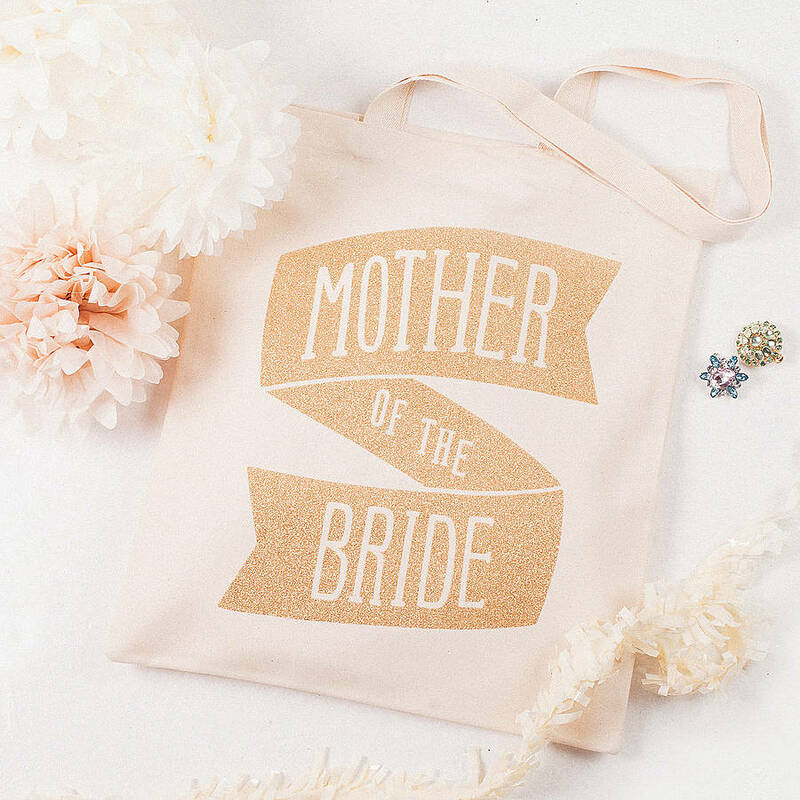 For bags with glitter print: please do not wash.